Where would James Bond be without music? Certainly not the immortal cultural icon Ian Fleming's misogynistic superspy has become. Throughout the franchise's long history, the quality of the music has been the most consistent element. Malleable arrangements of Monty Norman's original Bond theme by the likes of John Barry and, in this case, George Martin, have proven to be more memorable and indicative of ineffable coolness than any gadget, quip, stunt, villain or femme fatale sacrificed on the altar of 007's unquenchable libido. Likewise have many of the specific title themes implied a degree of vitality not always present in the films they accompany. With a meandering plot and parade of grotesque caricatures existing as little more than excuse to stage elaborate chase scenes, Live and Let Die would best be forgotten were it not for Paul and Linda McCartney's bombastic hit theme song. 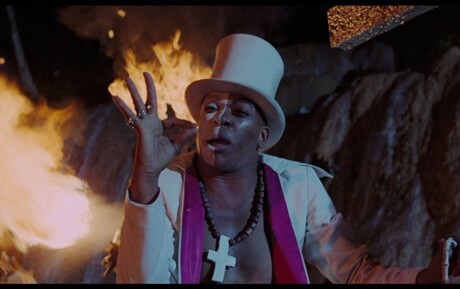 Though it was robbed of the Oscar by a Disney tune, "Live and Let Die" is as impressive and progressive today as it was back in 1973; the complete opposite of the film itself. Roger Moore's debut as James Bond marked one of the low points in the series. Guy Hamilton's third turn at the helm overextends the playful camp he built in to Goldfinger and, less successfully, Diamonds Are Forever. The story, which once again sees Bond investigating the deaths of some fellow MI6 agents, only to be swept up in a convoluted and nonsensical sinister plot, is overflowing with appalling racial stereotypes and an overall fear of independence within African communities. To make matters worse, Moore plays Bond as an arrogant and devious jerk who can't resist any opportunity to lay a rancid pun. Live and Let Die is also among the most bloated of 007's adventures at more than two hours and a disproportion amount of its runtime dedicated to uninspired car and boat chases. Despite the garish depiction of voodoo culture and the insulting implication that every black person from Harlem to the Caribbean is tied to the drug trade, Hamilton makes typical good use of the exotic locations (yes, Harlem is exotic for a stuffy British honky). Other than the scenery and that fantastic title theme, the only other positive contribution this entry has left the world of cinema is a visual record of what a comely lass Dr. Quinn, Medicine Woman was in her youth.